It’s tough to find affordable software engineers in developed economies right now. Singapore, Hong Kong, the United States, Australia and Scandinavia are just some of the regions where talent shortages and high wages make it really difficult to build and maintain competitive digital products and services. UI/UX designers that can ensure your product looks, feels and works like it should. Designers will take responsibility for the user experience, and typically have skills in graphic and web design, user interface design, art direction and information architecture, as a minimum. Project managers have multiple years of experience, a strong technical background and often qualifications in Agile and Scrum. With a moderate-sized team, the organisation and oversight provided by a specialist project manager can really pay dividends. Product managers and business analysts to shape and implement a product roadmap, manage stakeholders, prioritize features and schedule releases. These roles are critical to develop and implement product strategy. By working alongside a project manager, these roles can ensure the delivery of quality product from a large team of software engineers. Bookkeeping and Administrative Staff are vital to support your business and digital team. Vietnam is a great location for these roles due to the cost savings. 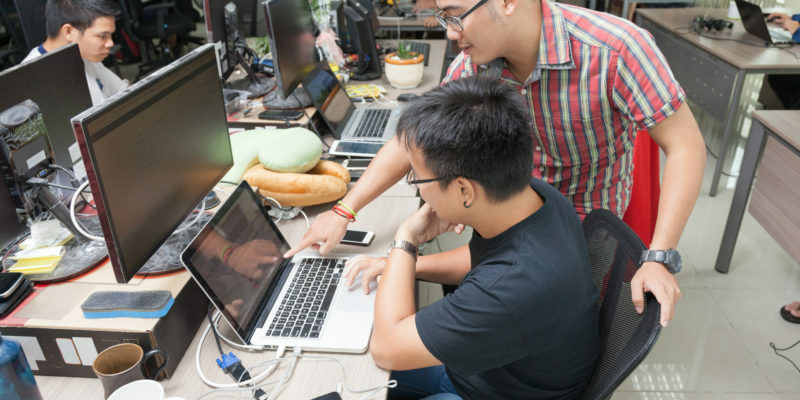 Remote development teams of affordable software engineers can be established quickly with a minimum of hassle in Vietnam. We’ve published our tips here for starting your operations and building digital teams in Vietnam. Get in touch with Metasource to talk more about your requirements.